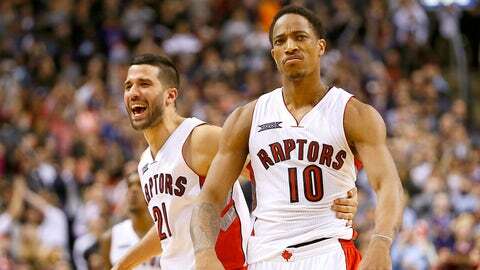 DeRozan can mean-mug all he wants after dunks like these. The NBA is a game that's played at warp speed. The difference between a bucket and a stalled possession can be fractions of a second as windows open and close. It's why decision making is one of the most important skills for an NBA player. And when you combine good decision making with outstanding athleticism, like Toronto Raptors guard DeMar DeRozan can do, good things happen. In the blink of an eye, DeRozan goes from the 3-point line to throwing one down on the Wizards defense. If he keeps that up, it'll be a good year in Toronto.